As you start the quest to sell your house, you will be introduced to the comparative market analysis (CMA). The CMA will certainly give you an idea of the marketplace environment and given that house selling does not take place in a vacuum, it is essential to comprehend the competition and exactly how you can competitively position your house in the marketplace. 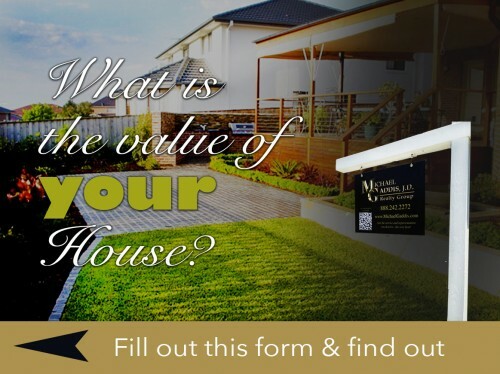 If you are not making use of the CMA as a tool in your home promotion process then you should start with our FREE HOME VALUATION. Below are are the top 3 factors a comparative market study will contribute to the successful sale of your home. What Is A Property Valuation or Comparative Market Analysis (CMA)? A CMA or property valuation is an extensive survey of homes just like yours in size, place, layout, and facilities that have closed within the past 3 to 6 months. This study is a regular part of your Listing Agents service to you. A successful CMA provides the seller with an accurate price range for the residence getting placed on the market or MLS. Exactly how long it takes to sell depends on which end of the price scale the seller determines as the asking rate. Today’s market is continuing the past year’s change towards sellers. Property stock is diminishing as homeowners sit on their residential property investments and lending methods are still strict from the housing burst. Selling an appropriately valued home in this environment will practically inspire a bidding battle, so you should understand the market trends prior to replying to an offer. Your broker will feature listings that are currently moving quickly on the marketplace. Although this won’t help you value your house as these asking rates could be wishful reasoning, it will assist you get a feel for just what costs you are competing versus. Expired listings, or homes that do not close in the list contract’s allotted time, should pose a warning to you. Likely, these sellers did not take their homes’ CMA and their broker’s recommendations seriously. They priced above what the market would bare thus, they did not receive bids in their initial price range, if they received any whatsoever. Your agent will certainly include an upper and reduced asking price limit for what he has determined as appropriate for your house. This number is based upon the analysis of sold listings much like yours in size, facilities and location and the agents understanding of the regional property market. If you pick an asking price on the high end of the CMA’s price selection, you could have to wait longer to sell your house. This is optimal for sellers that are in no rush to sell their residences. There could be less prospective buyers yet, there will most likely be a lot more determined prospective buyers. If you are like a lot of homeowners, you will prefer a quick sale to a slow one. Deciding on a cost near the lesser end of the specturm will guarantee your house sells as quickly as possible. More shoppers will certainly check out and consider your house due as they will perceive it as a good value compared with other, comparable estates. Remember that an overpriced house, if an offer is approved, will not appraise and therefore won’t sell. That is the worst position for a seller to be in. So make sure you thoroughly understand the Home Valuation and it’s results in your neighborhood before you choose a listing price. Michael Gaddis, J.D. prides his service on being educationally rooted. He will explain to you the reports implications and guide to to make a sound and effective pricing decision to move your property in alignment with your goals. 3. Understand customer behavior in the current market. If high interest on the property is is driving demand or, on the other hand is almost non-existent, a property valuation or market analysis will tell you a lot about the situation. Each estate noted in the CMA needs to show how many days on market (DOM), exactly how long an estate has been or was on the marketplace. The less DOM, the much better in most cases. However, a house that sells promptly, specifically if it’s a buyer’s market, may suggest it was listed too low. A CMA additionally consists of the asking cost and last sale price of sold homes. By comparing these 2 rates you’ll see exactly how interested customers are in really purchasing and also the amount of they are willing to pay along with the amount of they have the ability to purchase. Home Valuations provide essential details for you as you determine where to price your property for sale. If buyers are not driving costs up, then you understand you’ll have to strain to obtain their offers, meanings a lowered listing price could be in order.